I have been a big fan of T.I.M.E Stories. At the time of its release the Myst style puzzles, accompanied by amazing artwork and interesting stories, made it one of my favourite cooperative game experiences. But this feeling has been eroded. 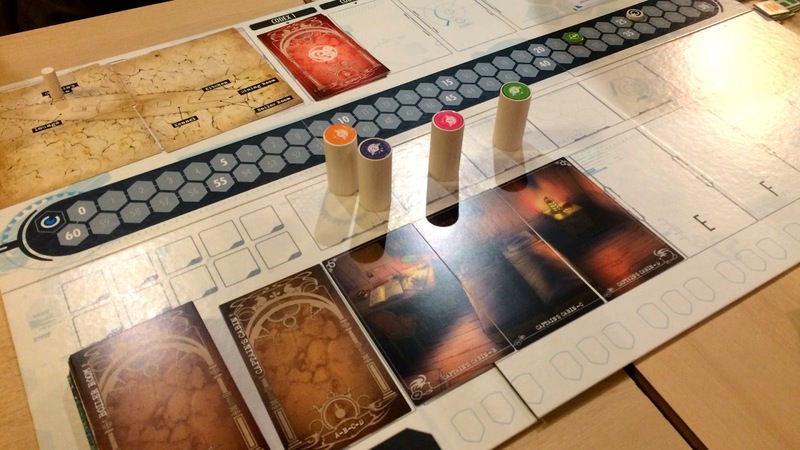 The introduction of ‘escape room’ type games follow a similar concept and Mansions of Madness second edition and the Arkham Horror LCG have both made games that offer similar experiences in a much more re-playable format. This meant that although I was eager to play the latest T.I.M.E Stories expansion ¬- Expedition: Endurance - as I played it the other games in this genre preyed in my mind. To remain king of the hill, T.I.M.E Stories would have to deliver an absolute blinder of a puzzle. Unfortunately, it failed. Spoiler Warning: in the nature of reviewing this expansion there will be some mild spoilers, where possible everything will be kept to what can be seen on the box cover or is revealed as part of the mission briefing. 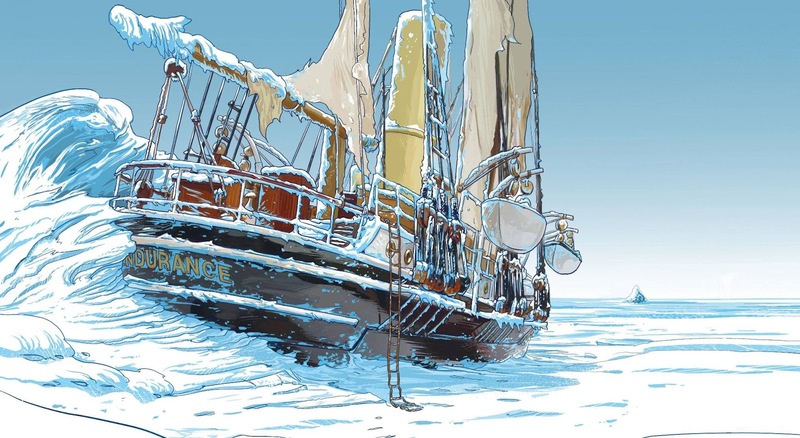 The Endurance was an actual Shackleton’s famous ship that in 1914 attempted to create a passage across the Antarctic, though in this fourth expansion to TIME Stories some liberties have been taken with real world events. 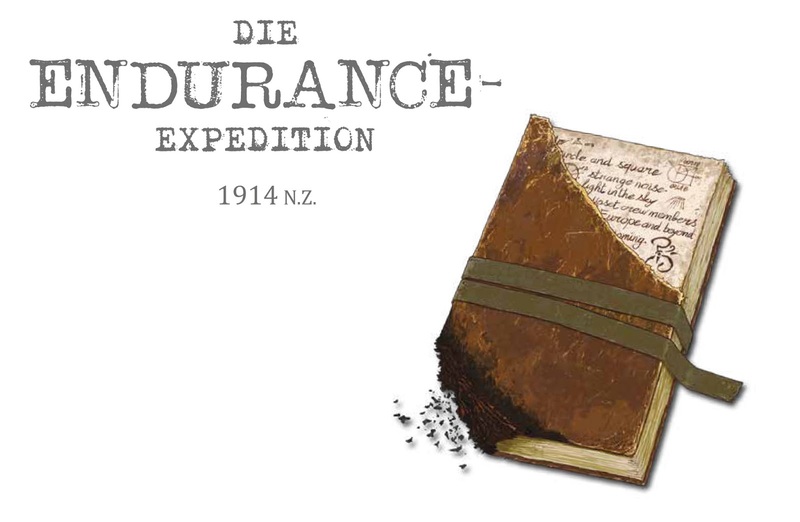 If you have more an a passing awareness of H P Lovecraft's work then you will know straight away that Expedition: Endurance is referencing At the Mountains of Madness, especially when the cover artwork depicts a charred notebook scrawled with Eldritch symbols. If this wasn't immediately obvious by the cover then the new mechanic for today's time jump being insanity brings the concept home. Although insanity is now a stalwart of the Cthulhu Mythos game, I must admit that T.I.M.E Stories at least did handle this new mechanic very well. The losing of character’s marbles was nothing new but the insanity effects where all varied and interesting and added some really fun gameplay. Again I will try not to spoil the effects, but players are often given some form of special goal to achieve once insane which will have the rest of the players confused and probably distrustful of their shipmates. The second highlight of Endurance was that the module does something very clever with your first run. Again I won’t spoil it but your introduction to the Endurance adds some significant tension to the game, driving you forward in a way that only T.I.M.E Stories does really well. There’s also a small reveal which made all the players very impressed and excited to see what would happen next. The problem is the rest of the module didn't live up to this original wonder. For starters, the ever disappointed Bob (why he hasn't sacked us yet is anyone's guess) gives you the usual wishy washy mission objective: there's some timey-wimey problems, go sort it out. Both Marcy Case and Under the Mask gave you objectives right from the start, something to look for, something to drive you forward but this lack of initial direction just leads to a directionless start where you go look at everything to try and work out what you need to do. This was particularly irritating when the final score of the module was based on you completing several tasks that you had not been told to do (leaving us with a final score of 0 points). I am slowly coming to the conclusion that I must be really thick. 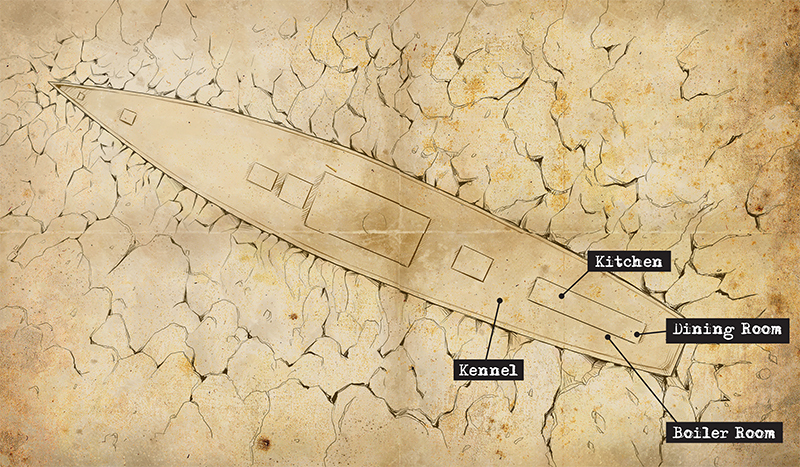 Because at no point did I feel that I had solved the puzzle in Expedition: Endurance. I felt, yet again, that I have missed the clues, that I wasn't paying enough attention to artwork and conversations. Because even though I have completed the module, I have no idea what the hell was going on. I felt like we brute-forced our way through the story, getting to the end not by piecing together careful clues but by just visiting everywhere and using some of our previous bonuses to cheese our way through some of the puzzles. It always leaves the same question in our minds; are we just stupid or was the module badly written? Some of TIME stories previous adventures have had several moments that have made you feel clever, when you have pieced together two or three pieces of information and weaved your way through to the end. The problem here is that not once did we get that big revelation and our relative success seemed to be based more on our luck at rolling dice than at deductive reasoning. The biggest let down for me though has been a factor I have been trying to defend in T.I.M.E Stories. I have been lucky enough that one of my local game stores used to sell products at a very reduced price, it mean t that past T.I.M.E Stories module shave only set me back around £14. I paid £20 (the RRP is £22) for Expedition: Endurance and for the first time I have felt ripped off by T.I.M.E Stories. While it is true that I can see the work that has gone into this module; the beautiful artwork, the story, graphic design and much better translation on rules issues (though we still had some issues) we finished the module in 2 and a half hours. In one evening £20 worth of game just went up in smoke. It's the first time I have felt stung by T.I.M.E Stories and I can't express my disappointment enough. I feel let down; it's like going out for a meal that you have been looking forward to in ages. You have had fun meeting up with old friends and have a laugh, only for the meal to be bland. Not awful, not even bad enough for you to demand your money back, just bland.